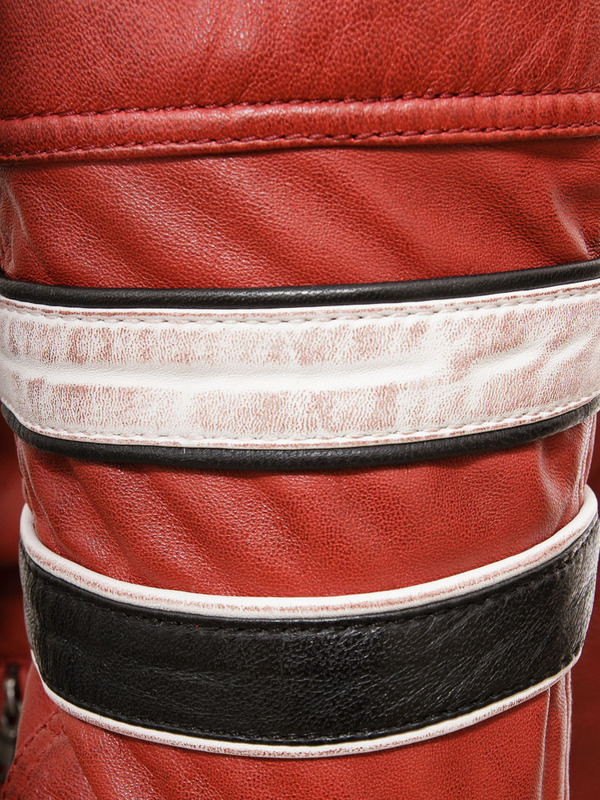 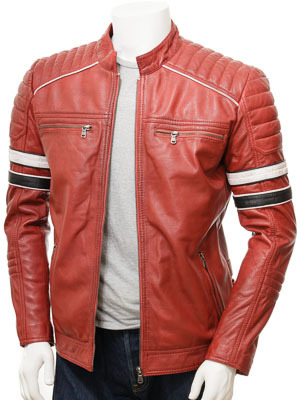 A striking red biker leather jacket in classic racing colours. 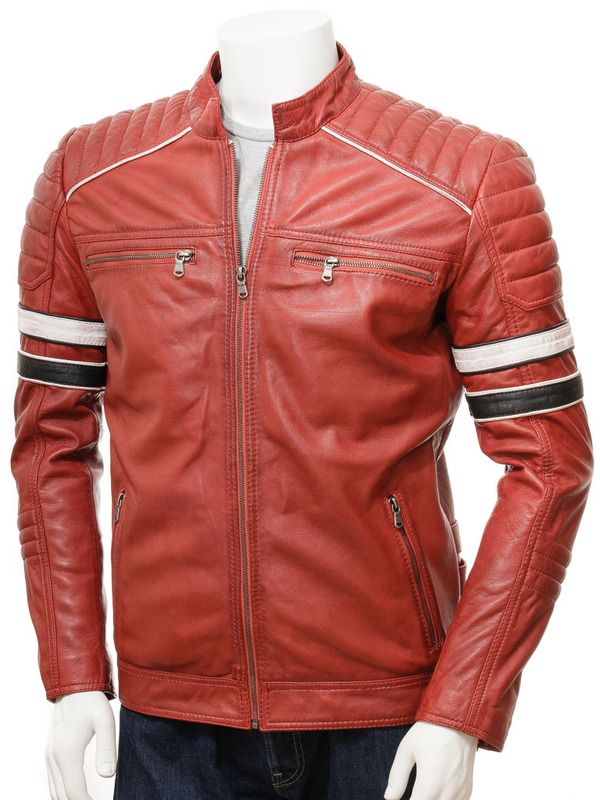 For those fans of retro motorcycle design this cafe racer is crafted from a soft sheep aniline skin and features A YKK zip up to a short stand collar. 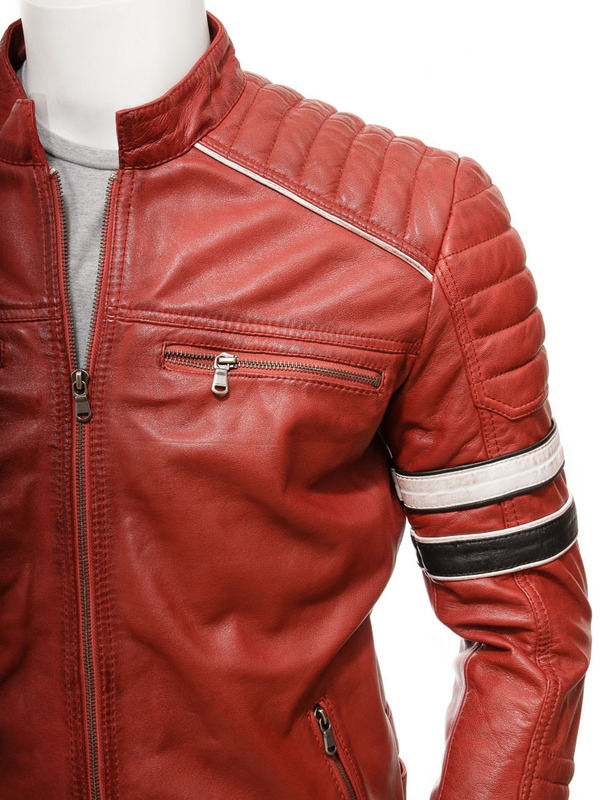 White piping separates the quilted shoulder panels from the body while the black and white bands around the sleeve are a nod to the jacket's racing heritage. 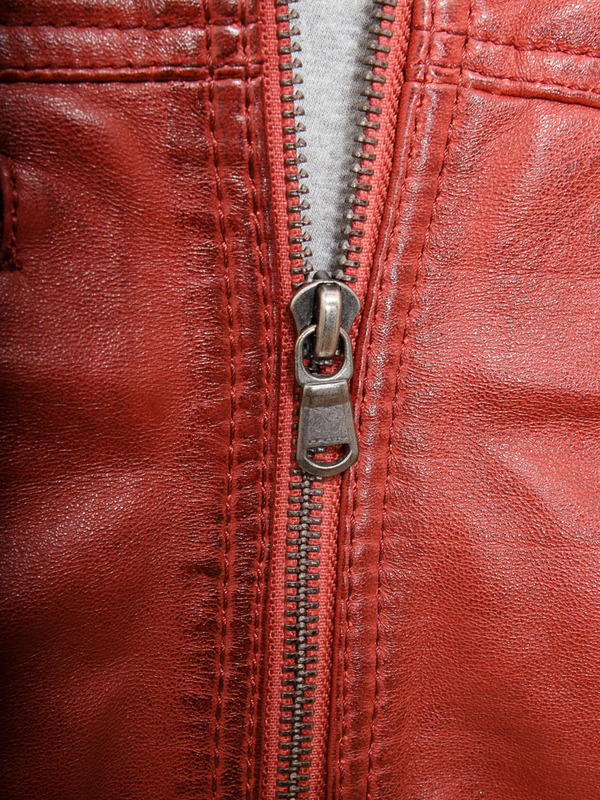 There are two horizontal zipped pockets at the chest with another two angled at the waist plus zipped gauntlet cuffs, perfect for slipping over gloves. 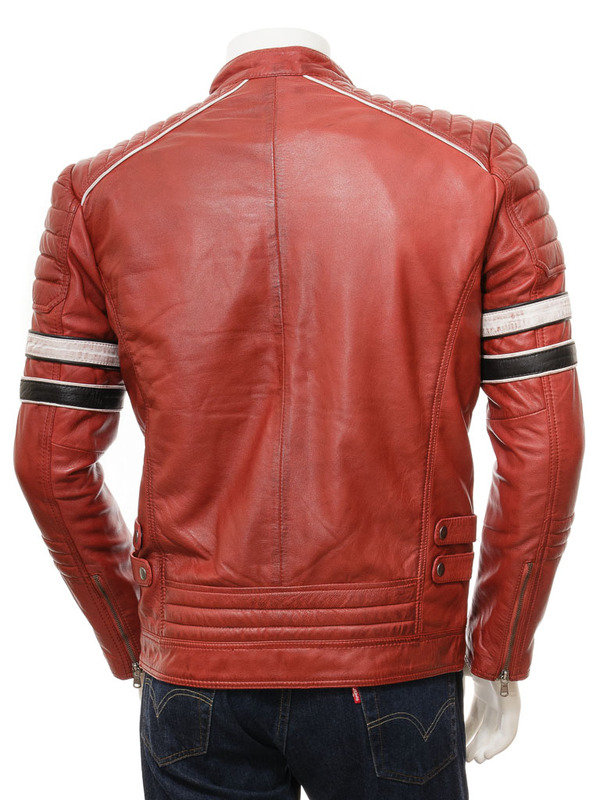 The interior of the jacket is fully lined in matching red poplin fabric and incorporates a further two pockets, one of which is zipped for additional security.